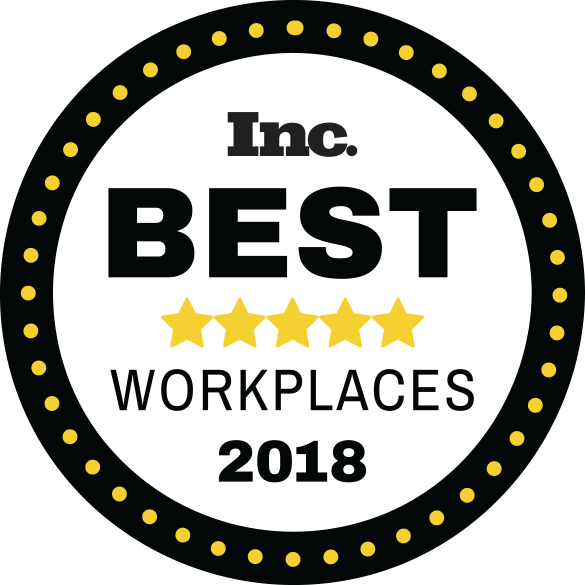 Featured in Inc. magazine's 2018 issue, Praetorian is honored with the Best Workplaces Award and recognized for trust in leadership, team dynamics, and personal engagement. Praetorian, a leading provider of enterprise cybersecurity solutions, has been named one of the Best Workplaces for 2018 by Inc. magazine. Praetorian also earned one of the highest scores for trust in leadership, at 99 percent, on Inc.’s list. The award follows many honors from Inc. magazine, which last year named Praetorian for the fourth consecutive year on its 36th annual Inc. 5000, the most prestigious ranking of the nation’s fastest-growing private companies. "We see a strong culture as a competitive advantage," said Nathan Sportsman, CEO of Praetorian. "This award testifies to our commitment in building a place that puts people, passion, and purpose first. We continue to be humbled by the results of our efforts and we are proud of what we are creating." The 2018 Inc. Best Workplaces Awards assessed applicants on the basis of benefits offered and employees’ responses to a unique, 30-question survey fielded by each of the applying companies. Responses were evaluated by the research team at Quantum Workplace. For its results to qualify, each company had to achieve a statistically significant response rate based on employee count. Survey scores account for employer size to level the playing field between small and large businesses.